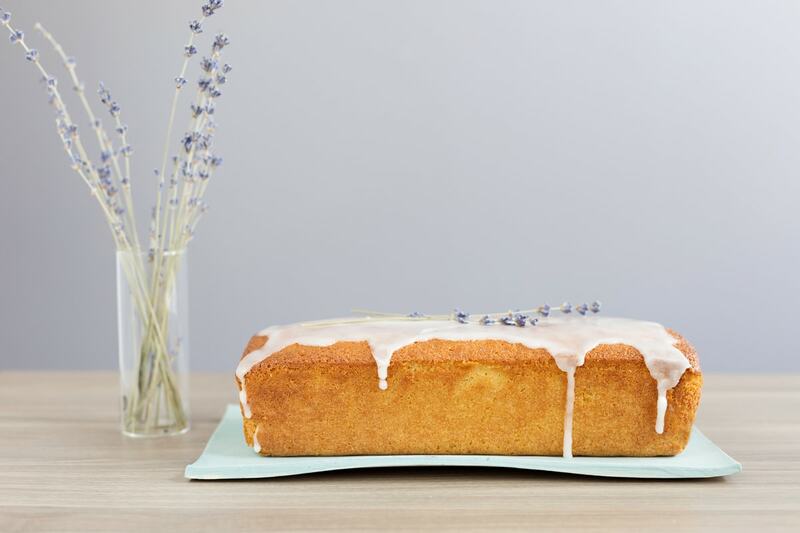 Lemon lavender cake is an excellent treat in anticipation of summer. 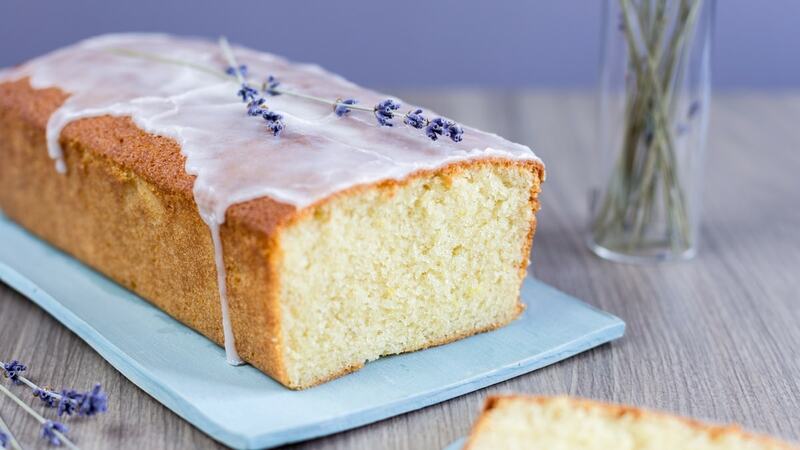 Think a zesty loaf with a subtle lavender scent. The amount of lavender in a cake can vary, but I believe in not overdoing it. 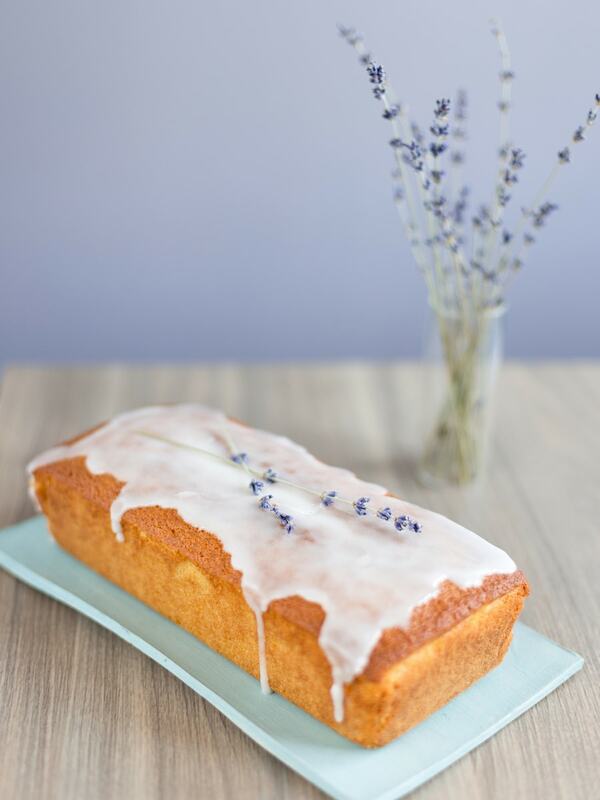 Personally, I like the scent of lavender to stay in the background, just to intensify the overall flavour of the cake. But I don’t enjoy sweets that are made with only lavender. A total lavender cake smells too much like laundry soap to me. 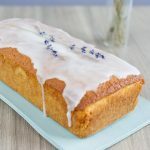 This is why I decided to pair lavender with lemon to make this lovely lemon lavender loaf. We are in that wonderful time of the year in Sweden when the sky is starting not to get completely dark anymore. There is light on the horizon even in the darkest hour of the night and I always marvel at this phenomenon like it’s the first time I’m witnessing it. The good weather that we are enjoying at the moment is making it feel like summer is really coming soon. Hopefully it will be a good one, with plenty of blue skies and beautiful clouds. 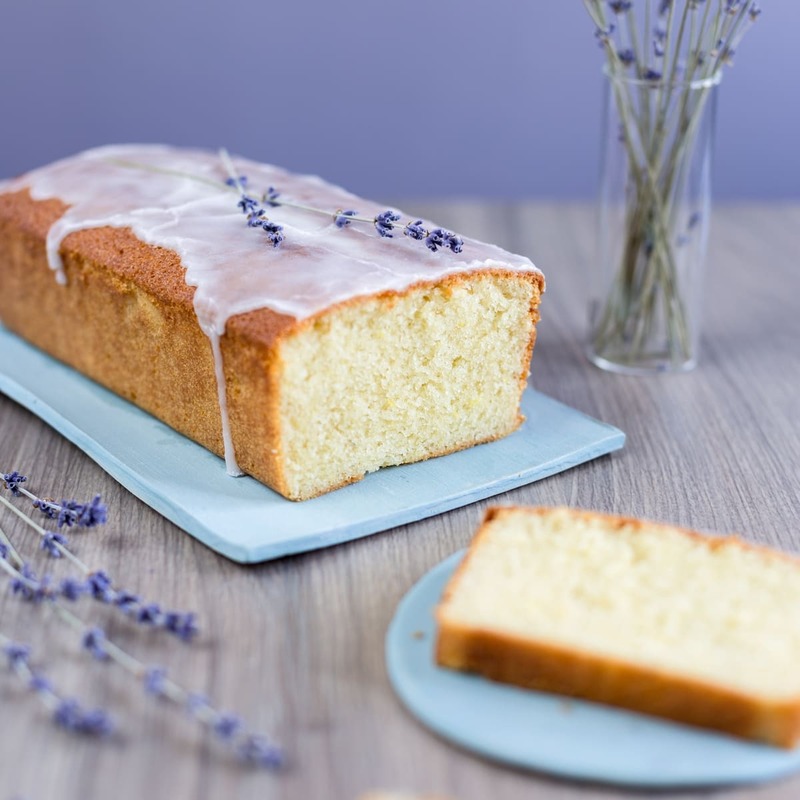 Inspired by this lovely weather I decided to make a refreshing lemon lavender cake. The flavours of both lemon and lavender are incredibly refreshing. The combination of these makes this cake the perfect summer treat. When I think lemons and lavenders I can’t keep thinking of the south of France. Although I did not visit during the blooming season and missed the purple fields of lavender, southern France is a place full of flavour year round. If it’s lavender specifically that you’re after, you can find it dried everywhere, all the time. Since I had visited the Camargue and its salt flats, my favourite item I brought back was salt with lavender. It came in a bottle with a grinding cap and it’s the one I used to make rainbow trout with salt lavender. At home I have a supply of dried lavender from my parents. A relative has some lavender in her garden, so I got some of that. I keep some in a jar for cooking, and other in a vase as decoration. Airtight it preserves its aroma quite well, but even the one in the vase is still pretty scented even after sitting in a vase for two years. 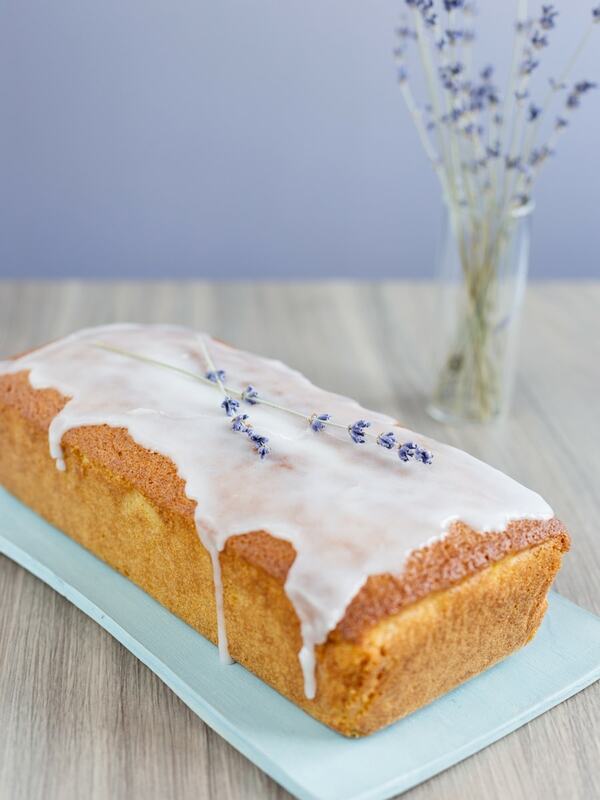 Lavender is very strong, so my recommendation when using it for baking is to go easy. In this cake I have used 3/4 of a teaspoon of dried lavender flowers. Since mine was quite old, I could have used a whole teaspoon. If using freshly dried lavender I wouldn’t use more than 3/4. As I said at the beginning, in the case of such a flavour I believe that less is more. You want a hint. 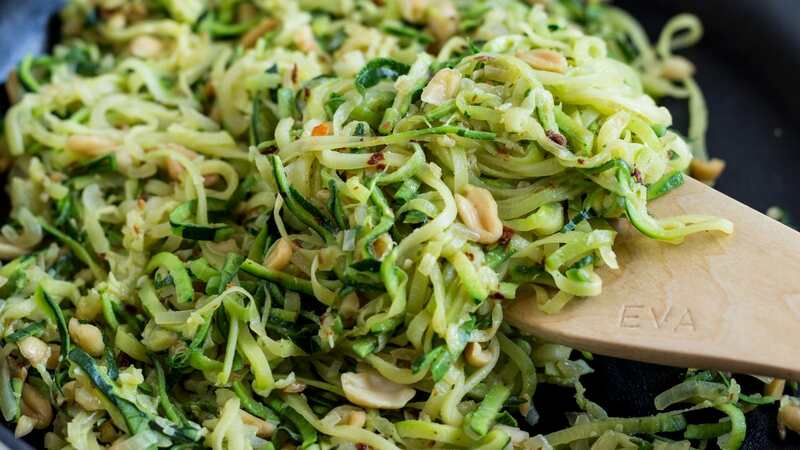 This is a very easy recipe, one of those where you just mix all the ingredients in one bowl and all is done with the hand mixer. There is just one passage that needs to be done at the beginning and that is to make the flavoured sugar. 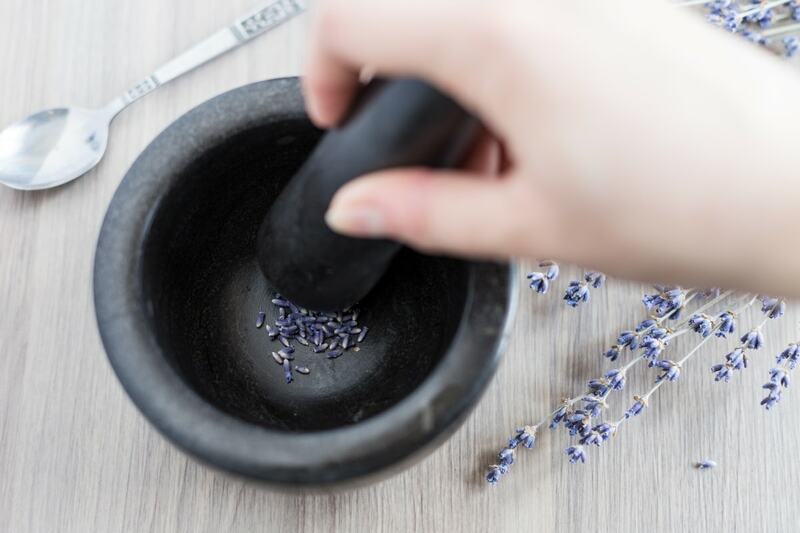 As you can see in the pictures above, I went all old school and used a mortar and pestle to crush my dried lavender. You may as well buzz it together with the sugar in a food processor. 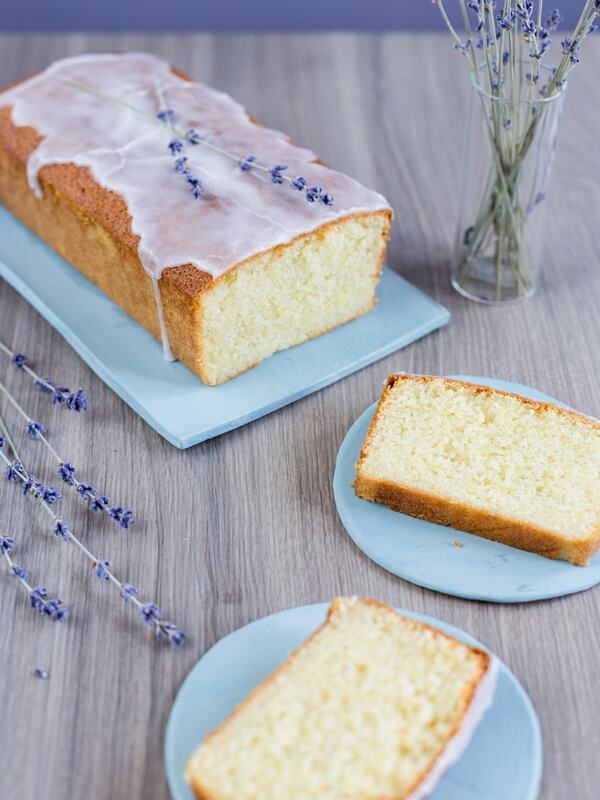 The key is to enhance the sugar with the two flavours of this cake: the lemon zest and the lavender flowers. 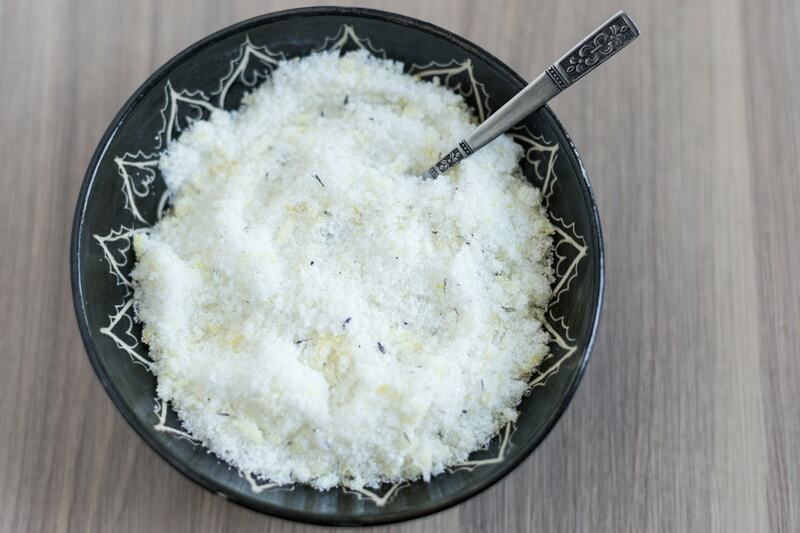 You want to add them to the sugar, and actually give the sugar a very good stir in order to rub the grated lemon zest and dried lavender so that they will release their essential oils into the sugar. The sugar will get a bit moist from the lemon essence, and this is exactly what you want. Now that you know your lemon cake hack you are ready to summon summer in your oven (not just talking temperatures here). Melt the salted butter in a pot over low heat and set aside. It needs to reach room temperature before use. 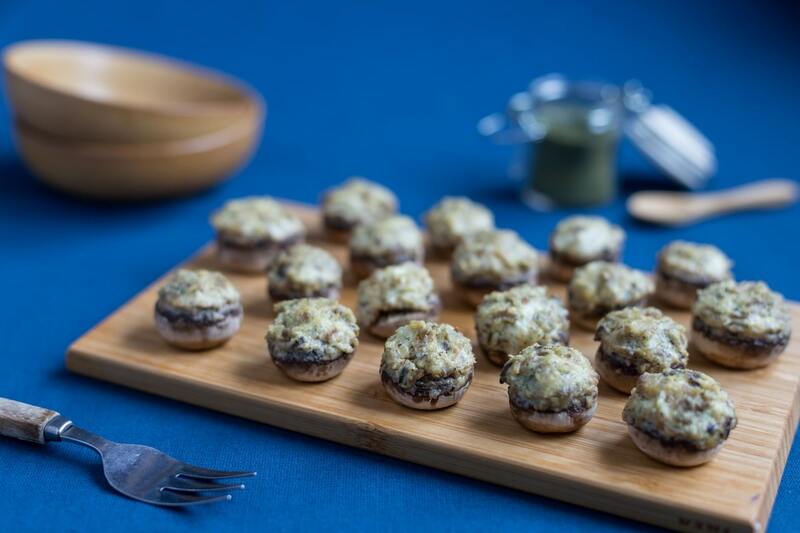 In a bowl combine flour, baking powder and baking soda and set aside. In another bowl grate the zest of the lemons and combine it with the sugar. Stir well in order to rub the essential oils of the lemon zest right into the sugar. The sugar should get a bit wet. Set aside. 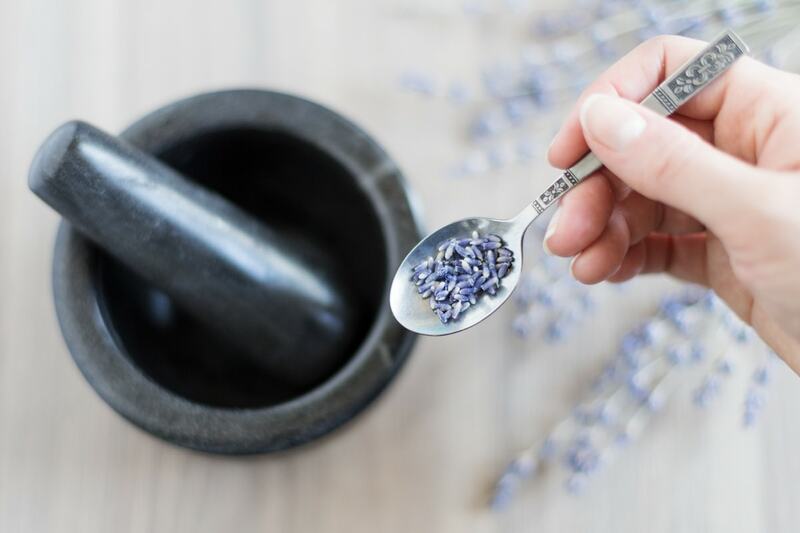 Crush the dried lavender and add it to the sugar mix. Pour the Greek yoghurt into the sugar mix and mix it in with a hand mixer at medium-slow speed. Always mixing, add the lemon juice and the eggs, one at a time. Stop the mixer and add the flour mixture in. Give it a first stir with the mixer off, then start the mixer and whisk the powders in at low speed. Lastly, whisk in the melted butter. Make sure it has reached room temperature, as you don't want to be adding it warm. Pour cake batter into a loaf pan and bake in the preheated oven at 180°C for 45 minutes, or until a toothpick inserted in the centre comes out clean. To enhance the lemon flavour I poured a lemon icing glaze over my loaf. I just combined 50 g of powdered sugar with 3 teaspoons of lemon juice. Once I had grated the zest off my lemons I needed to start using them anyway. The glaze also helped to keep the lavender I used for decoration in place. If you have dried lavender flowers detached from the stems you can also sprinkle some on the top of the glaze. This will also work very well as a nice decoration. In any case, I recommend the use of organically sourced lavender and lemons. Back in Italy I would have picked up the lemons from my aunt’s tree, but here in Sweden I needed to get them from the supermarket. At least the lavender was hand harvested by my mom from a real garden. I wish I was in Sweden right now. 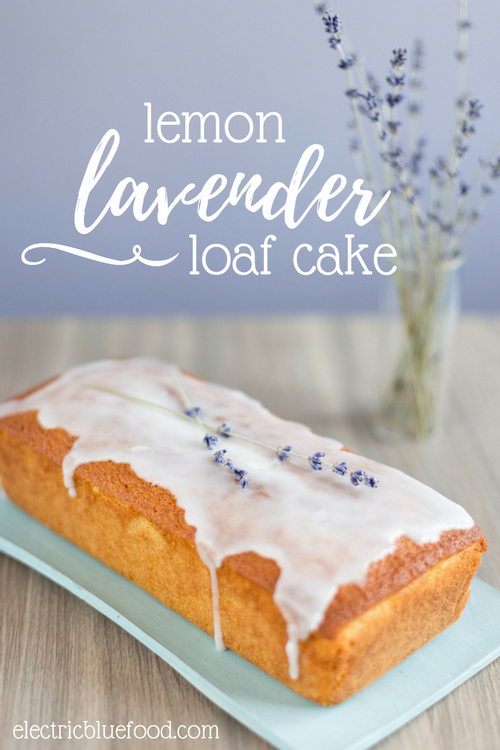 But at least I can try to make this wonderful cake… I just need to find some dried lavender (I had never thought of using it in a cake!). Se mi viene come nelle tue foto, farò i salti di gioia, perché ho qualche problema con i plumcake – non sembrano mai cotti al punto giusto. Ma ci provo! Prova a lasciarli 5 minuti in più in forno. Meglio overbaked che col cuore crudo. Riprova con questa qua e poi fammi sapere!! 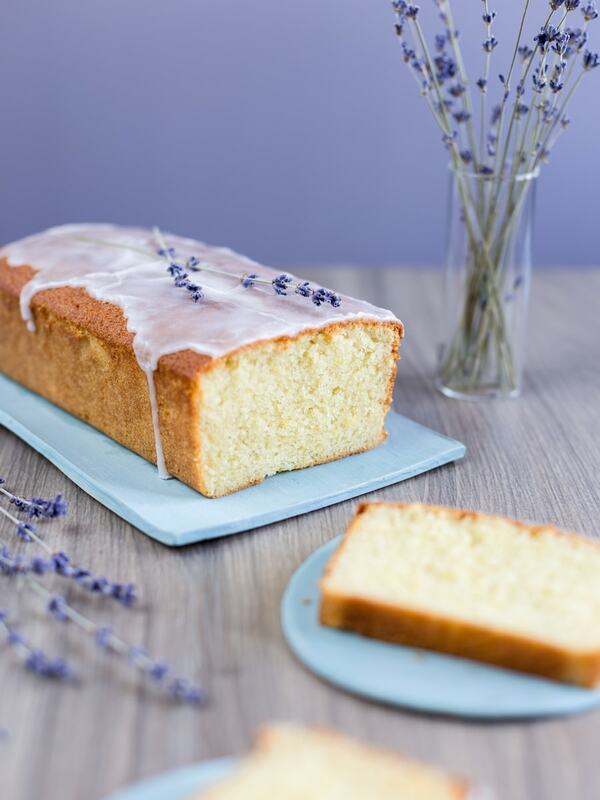 oh this lemon lavender cake loaf one looks too good to be true! gotta try your enhancing technique as I’ve actually got some dried lavender at home. yay! Awesome, totally make it! The lemon and lavender flavoured sugar is such a nice treat! !